What does children’s clothing tell us about how we as a society appreciate our children? How have these views changed over time? 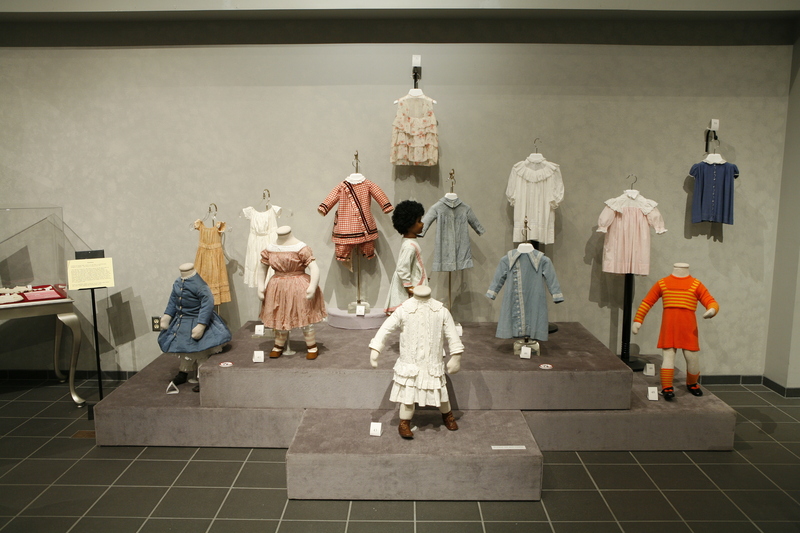 These are two questions which curator Gayle Strege of The Ohio State University’s Historic Costume & Textiles Collection’s addressed in the exhibition Toddlers, Teens and Tweens: 250 Years of Children’s Fashion. 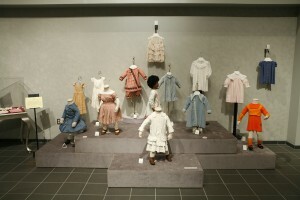 Drawing from over 550 items of children’s clothing within the Collection’s archives, the exhibition illustrated not only the history of children’s clothing styles, but also explored society’s views of child care and their resulting influences on children’s clothing fashions. The 18th century practice of swaddling and its residual existence in the 19th and 20th century. Dressing both girls and boys in skirts when they were babies and toddlers. Children dressed as miniatures of adults. Fashions specifically for children and their special needs: school and play. The introduction of the marketing terms ‘teen’ and ‘tween’ in the 20th century.